Earlier this year here at Diabetes Flashpoints, we discussed a study on the impact of high insurance deductibles on the health care received by people with diabetes. While having a higher deductible ($1,000 or more in this study) didn’t affect primary-care doctor visits or diabetes-related testing, it did result in almost 50% higher out-of-pocket medical spending and delays in both emergency and non-emergency visits for acute diabetes complications. Now, a report from the U.S. National Center for Health Statistics finds that as of the first three months of 2017, the percentage of people under age 65 with private insurance who are enrolled in a high-deductible plan — defined as at least $1,300 for an individual or $2,600 for a family — has risen above 40% for the first time. It was 42.3% this year, compared with 39.4% in 2016 — and only 25.3% in 2010, with mostly steady increases taking place each year. Out of the 42.3% with high-deductible plans this year, 16.9% included health savings accounts (HSAs), which are tax-exempt vehicles for medical spending that are designed to be used for routine care. In theory, high-deductible plans help limit rising health-care costs by reducing unnecessary medical visits and procedures. But as the study from earlier this year shows, they can also impose a substantial financial burden on many people and may encourage people to delay necessary care, ultimately resulting in greater complications and higher spending as a result. While the 2010–2017 timeframe outlined in the new report coincides with the period since the Affordable Care Act (ACA) became law, most of the law’s major provisions didn’t go into effect until 2014, and it didn’t actively encourage an increase in deductibles. Instead, according to a Miami Herald article on the report, most of the rise in deductibles can be blamed on employer-provided health insurance, with employers looking to shift more of their health-care costs to their employees. It also notes that the tax-exempt framework for HSAs was created by Congress in 2003, long before the more recent health-care law went into effect. There are some positive trends outlined in the new report. The share of Americans ages 18–64 without insurance, at 12.1%, is lower than it has been in decades, with a significant drop taking place since the Affordable Care Act went into effect. This number is even lower in the 32 states (as of this year) that have expanded Medicaid, at 8.6% — having fallen steadily each year from 18.4% in 2013. In contrast, the percentage of people in this age group without insurance in states that didn’t expand Medicaid has actually risen since 2015, from 17.5% to 18.4%, and is only down from 22.7% in 2013. As it happens, Medicaid — a state-based insurance program for low-income people that receives federal funding — is the opposite of a high-deductible plan, with little or no deductible for its enrollees. 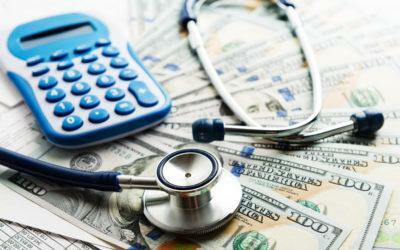 What’s your experience with high-deductible health plans — has your employer raised your deductible over time? If so, has this made it harder for you to afford your care, and have you cut back on anything? Do you think you’re more careful with your appointments and procedures, since you’re spending more out of pocket? Do higher deductibles make sense for people with chronic, expensive health conditions like diabetes? Leave a comment below!